WAIST HIGH: Peter Gabriel's New Blood Out Today. 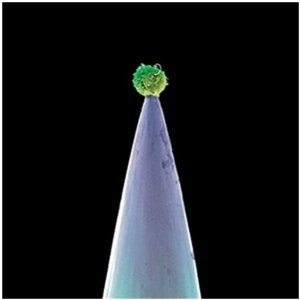 Peter Gabriel's New Blood Out Today. Recorded with a 46-piece orchestra (conducted by Ben Foster) Peter Gabriel (along with arranger John Metcalfe) have re-imagined some of Gabriel's most storied songs in the 14-track New Blood, out today on EMI. Gabriel says that he "didn’t want it to be just a succession of hits done with orchestra, so I specifically left out things like 'Games without Frontiers,' 'Sledgehammer,' 'Big Time,' and went more for this moody, atmospheric kind of compositions," which include "Mercy Street," "San Jacinto," "In Your Eyes," and "Don’t Give Up." New Blood is available in digital download format and as a standard single-disc and can be found at petergabriel.com, itunes, and amazon.com. A full length conversation about New Blood between Guy Garvey and Peter Gabriel can be found here.